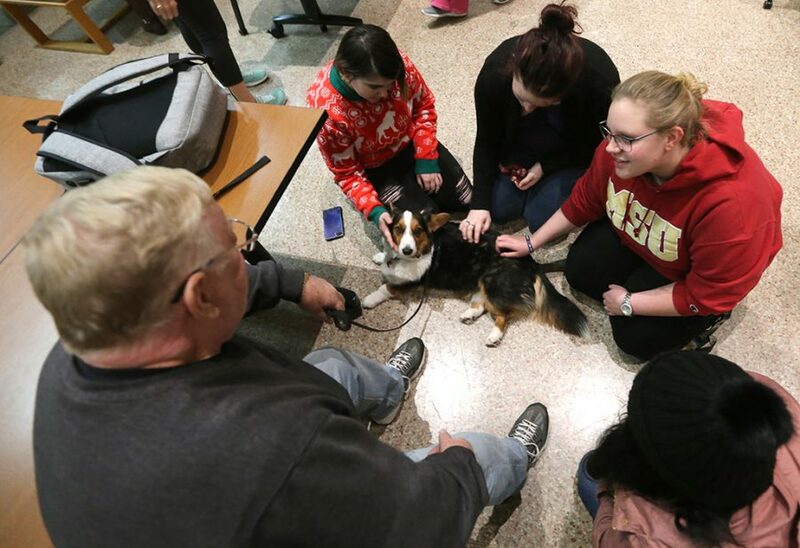 Members of the Obedience Training Club of Wichita Falls, and their dogs, visited the Moffett Library to give students a break from studying for finals Dec. 4 from 6-8 p.m. Dozens of students walked around the Leisure Reading area and visited with the trained therapy dogs. All of the dogs were friendly and seemed to enjoy the interaction with the students. The club showcased a mixture of small and large dogs, such as a yorkshire terrier and golden retriever. “Any dog under 30 pounds is a cat. 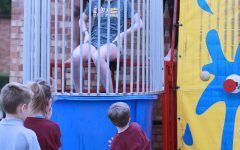 Except for those little ones that decided to show up,” Ketchell said. Therapy dog owners stood next to their leashed dogs while conversing with the students about the stress associated with finals week. Nancy Pennartz, owner, said it took about three or four months for her dog to become a therapy dog. “She went through basic obedience. There was a therapy dog training class, and then she had to pass the canine good citizenship test. Then, she was tested for therapy dog,” Pennartz said. Not all of the dogs there were actual therapy dogs but rather just friendly, well socialized dogs. Due to the library renovations, the Obedience Training Club will be in the Clark Student Center during finals week.